"How (& Why) To Bring Mindfulness To Your Organization"
Discover how to overcome common barriers to bring mindfulness, and its benefits, to your workplace. Program Description: While mindfulness once seemed like a fad, it is slowly gaining staying power and credibility. Harvard Business Review articles and scientific studies tout the benefits of mindfulness, and large, respected organizations like McKinsey, Apple, Target, and the Seattle Seahawks have mindfulness programs. More organization development professionals are asking themselves, is it time for me to bring mindfulness to my organization? How would I actually go about doing so? How would I get others on board with the idea? This session will explain what it means to be mindful, and the demonstrated benefits of mindfulness will be presented, both of these in the context of a workplace setting. Discussion will focus on how to bring mindfulness to your own workplace, by specifically addressing common barriers to implementing mindfulness and how to overcome them, and how to structure your own workplace mindfulness program. Audience members will partake in exercises to experience mindfulness as well as to start to give shape to their own workplace mindfulness programs. 1. Understand what it means to be mindful, and how this is relevant to a workplace context. 2. Discover why people practice mindfulness, and the qualities and benefits that are derived from mindfulness. 3. Explore how to implement a mindfulness program at your organization, by understanding potential pitfalls and specific ways mindfulness programs are implemented at other organizations. Michelle Somerday is an Executive Coach and Leadership Development Consultant and the Founder of Neo-Strategic, LLC. She is a trained scientist who transitioned to the corporate world and understands from her own experience what is required to adapt and lead in the demands of a business environment. Her beginnings in academia reflect her innate belief in the inherent and diverse capabilities of each individual and a passion for helping people realize their strengths. She is an experienced speaker and lecturer who has taught at the university graduate level, spoken at international conferences, and facilitates leadership skills trainings. Michelle's former life as a scientist is demonstrated in her preference for evidence-based approaches to leadership, and this is a hallmark of her blog and speaking engagements. She writes, presents, and gives trainings on all things related to leadership and is particularly interested in The Mindful Leader and Women Leaders in STEM Fields. 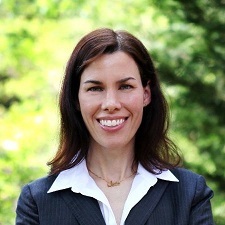 Michelle is a Certified Leadership Coach through Georgetown University and is also recognized as a certified coach by the International Coach Federation (ICF). She holds a Ph.D. in Materials Science and Engineering from the University of Virginia.